Gateau de semoule better than cream of wheat pudding! This was another favorite of Mémé Marie-Louise always pushing for healthy desserts. This meets her criteria with lots of iron, low fat, and a delicious taste. Frankly, you could do worse than eat this for breakfast! Soak 3/4 cup golden raisins in a cup with 1 tbsp rum and 3 tbsp water for at least half an hour stirring once in a while. Bring one litre of milk with 1/2 tsp salt, 2 tsp vanilla extract and 3/4 cup sugar close to a boil in a 4 quart non-stick pot, turn the heat down and add slowly while stirring a cup of wheatlets or cream of wheat. Stir for 4 minutes, cool down. Stir into that four eggs beaten like for an omelette, the raisin mix, and the zest of half a lemon or orange. For the caramel, clean a stainless steel pot thoroughly, add 4 tbsp sugar, 3tbsp water, 1 tbsp lemon juice and heat up to golden brown. If the sugar remains white and becomes crusty, your pot was not really clean, but the lemon juice helps. Watch like a hawk! As soon as it is barely golden brown, remove from the heat and add 4 tbsp water careful of splashing sugar on your hands. Right away pour this in a crown mold or a pie dish. Add the cream of wheat mix and smoothen. Bake for 40 minutes at 325. Cool down, refrigerate 3 hours, see if you can take out of the dish to serve with the caramel on top by flipping over a serving platter. Serve very cold. 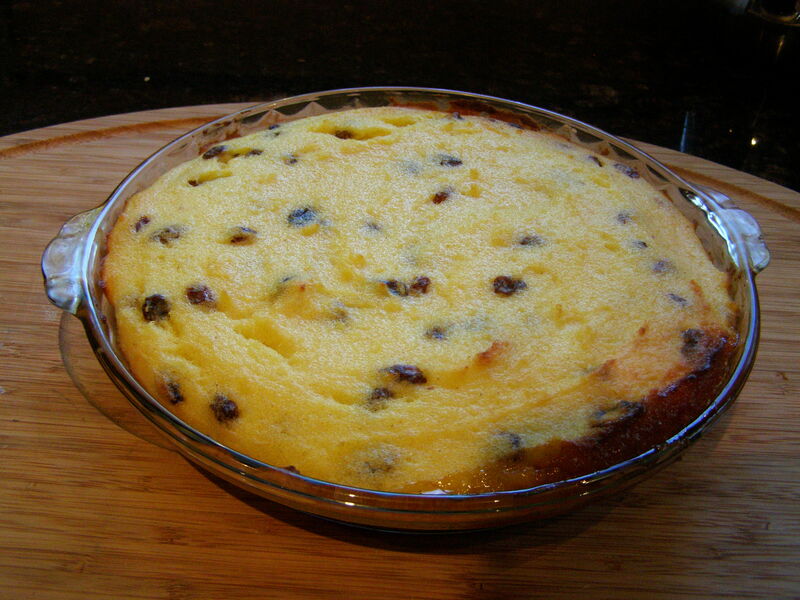 This pudding is enough for eight adults or six children at the most, trust me! The wheat is wheat semolina also called wheatlets, fine to medium. 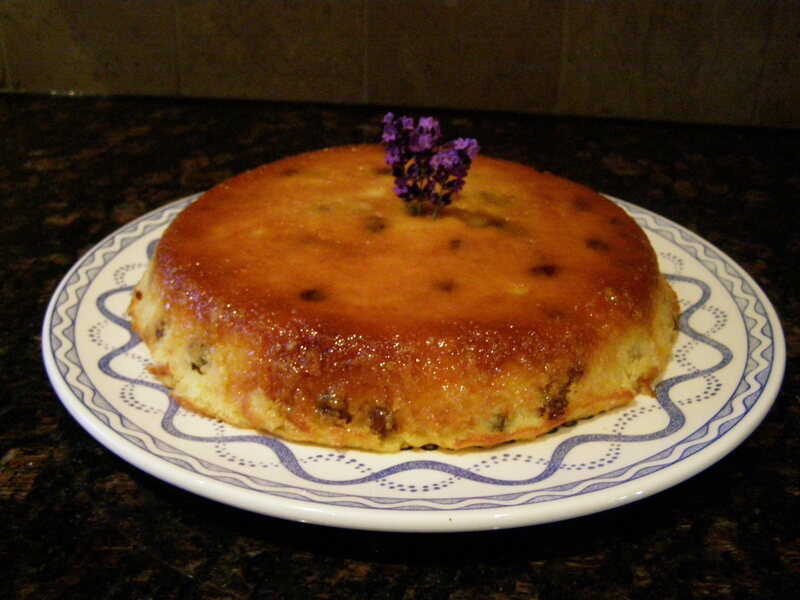 This entry was posted in Dessert and tagged cooking, cream of wheat, food, gateau, pudding, recipe, recipes, wheatlets. Bookmark the permalink. 2 Responses to Gateau de semoule better than cream of wheat pudding! I love that. My mother used to make this without the fancy caramel.